Giant Dahlias is a new book on dahlias by Tom Bebbington. 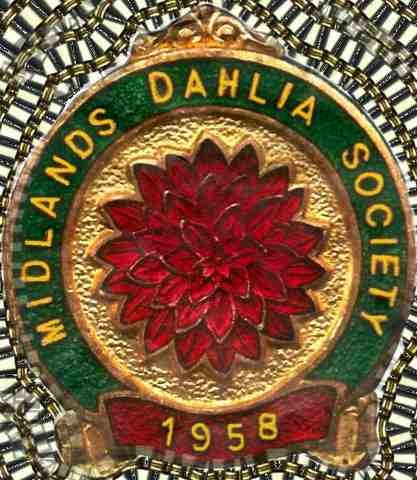 In the photo above Tom and his wife are showing his new book at the Midlands dahlia society annual show. The book is in landscape format, 12" by 8" in hardback with 151 pages and 87 full colour quality photographs. It is an autobiography plus hints and tips on how to grow and show dahlias together with a short history of the Giant dahlia. This is a book for the connoisseur and a must for the enthusiast. The cost of the book is £30.00 plus post & packing - £7.00 in the UK; £15.00 Overseas. or contact Tom on 01332 817 666. Please use Google below to search for any item you require.